"I have not willingly planted a thorn in any man's bosom." A man of character, honesty and compassion. A man of character, honesty and compassion… Abraham Lincoln. Get a glimpse of our past and gain hope for the future. 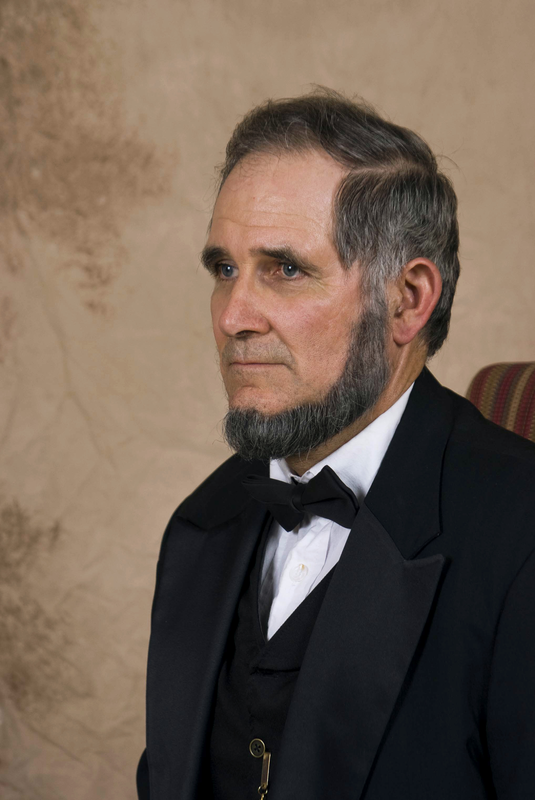 Lee Williams brings these qualities to life as he portrays Abraham Lincoln for your organization. Each program is tailored to your specific audience–be it young or old. 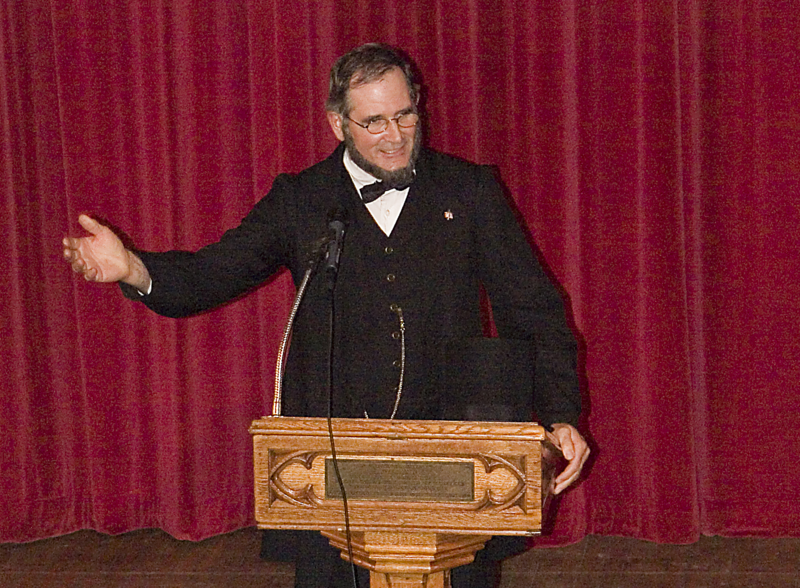 Abe Lincoln Live presentations are tailored for your specific audience. Lincoln Live presents to pre-school to university level. Presentations are tailored to the age or topic. Lee has done entire school assemblies, groups of grades and individual classes (history, literature, etc.). No matter your setting, we have a program that can inspire children and fit your needs. Lee has presented at stock holders meetings, training seminars (keynote speaker), regional meetings and appreciation dinners. The program ‘Lincoln on Leadership’ may fit these settings. Special topics or events can also be prepared. 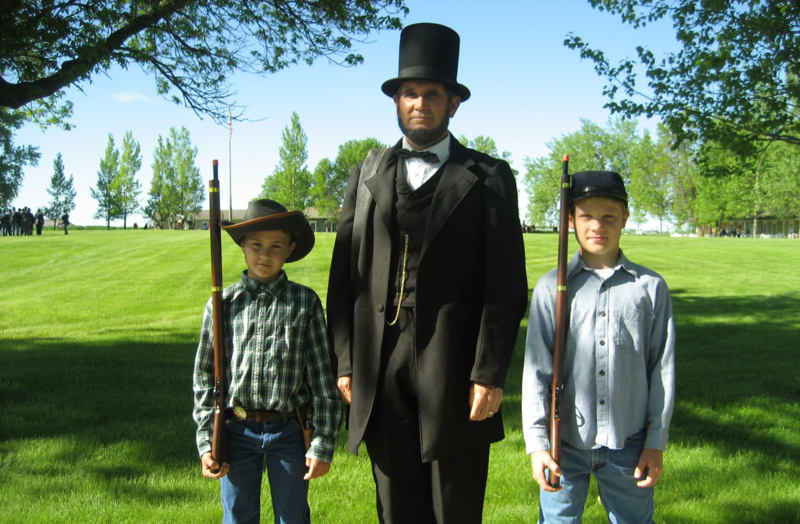 ‘Abe’ is very popular at Civil War reenactments, living history fairs and festivals. He loves to mingle with the crowds, often presents several times on different topics, participates in spontaneous plays or acts, reviews the troops. etc. Attendees are always asking that pictures be taken with him. In a church setting Lee has provided the main message (example – Proclamation of Day of Prayer), special services, evangelistic services and challenges for the more mature. Youth events are popular. Lee Williams is recognized as a member of the Association of Lincoln presenters, an organization dedicated to bringing Abe and Mary Lincoln to life through fun educational performances. Fill out the form below to schedule a performance or request more information. Lee spoke to our 9th grade American history classes. Lee did a super job of portraying Mr. Lincoln. He has researched the former president thoroughly and does a masterful piece on the former 16th President. Please call and I will answer all questions. The presentation of Abraham Lincoln by Lee Williams was absolutely awesome. There was a spirit of dignity and reverence that swept over the congregation that one could almost feel… We of Greenfield Gospel Chapel greatly appreciate it. Mr. Williams does an extraordinary job of bringing Abraham Lincoln to life for my fifth grade students. His presentation is moving, insightful and patriotic. We look forward to Lee’s coming every year!